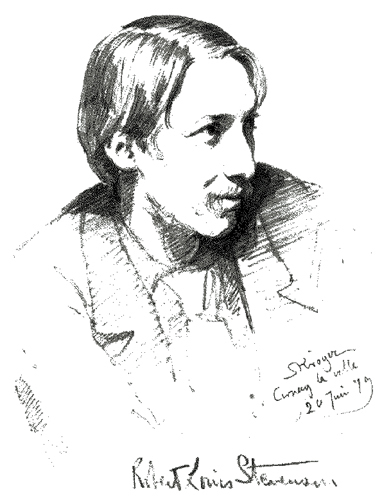 It is the first novel written by Stevenson, which remained an un-published manuscript until now. For the first time worldwide, it is finally being published. The story is about a group of young Cambridge students who have decided to leave England to build elsewhere a world more in tune with their philosophy of life. On this new world they wish to build, they have only vague ideas, their own bohemian inclination and the promise of a mysterious hair trunk. However this is enough for them to begin to dream of an island in the Southern seas, unaware that many adventures, thefts, flights at nights, sea battles, a tempest and the discovery of a desert island near the western coast of Scotland are awaiting them... Stevenson began writing this novel at the same time as the ‘New Arabian Nights’: it was to be THE novel of those bohemian times. But the hardship of this trip to California had a lasting effect on him and transformed him deeply, bringing to an end this period of his adult life. Thus his novel was never finished: the last chapters were missing. Michel Le Bris, who discovered Stevenson’s manuscript in an American library, used his vast knowledge of Stevenson’s life, works, projects and philosophy to imagine an end that is as thrilling as the novel itself. 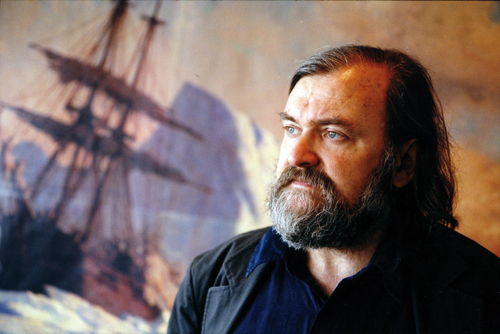 Novelist, founder and director of the ‘Étonnants Voyageurs’ book festival in Saint-Malo, Brittany, Michel Le Bris is an internationally known specialist of Stevenson, the author of a monumental biography, ‘Les années bohémiennes, 1850-1880’. ADMISSION IS FREE BUT DON’T FORGET TO BRING YOUR BOOK!